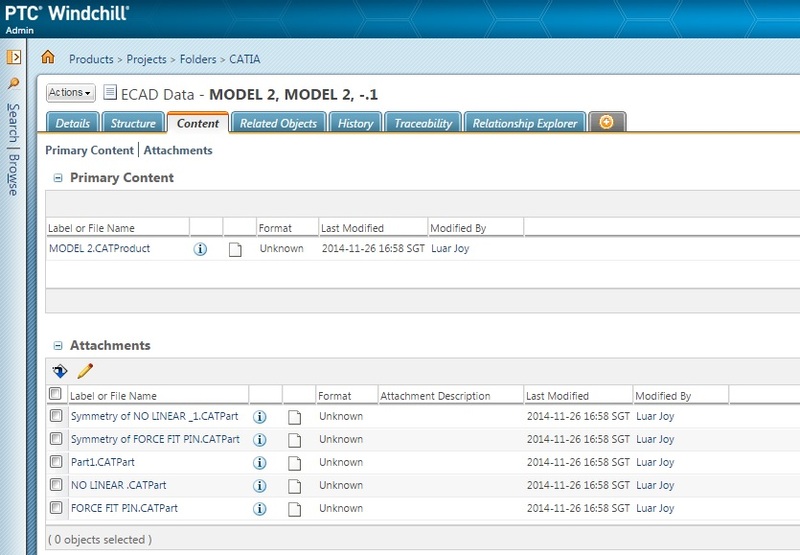 I tried to upload a catia file as u can see in the screen shot below. This is my question. 1. Why the file formats become unknown? 2. If I check out the primary content, the attachment would also be checkout? 3. I try to download but I cannot open it because it becomes uknown format. you try to use a "classic" Document to store a Catia file. Catia V5 mime type is not defined in Windchill. So file type is unknown. you can load new Document mime type in Windchill. Thank you for response. how to load mime type in windchill?